Our range of products include dielectric edm fluid. 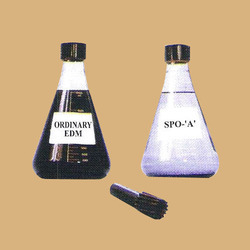 Leveraging on our vast domain knowledge of manufacturing, supplying, distributing, trading and dealing in wide gamut of EDM Fluids has empowered us to present Dielectric EDM Fluid. We have processed it for common mold and dies applications that call for high metal removal rates, optimum flushing and close tolerances. It offers excellent cooling of electrode as well as work-pieces due to low viscosity and is available at reasonable prices. Looking for Dielectric EDM Fluid ?